The law firm was not available for comment on Saturday. 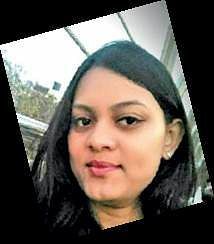 BENGALURU: A 26-year-old LLB graduate was found dead in her room at a paying guest accommodation in Malleswaram on Saturday. Police suspect that it is a case of suicide as they found that she had ingested dangerous substances. Earlier, four days ago, she had filed a case with the Commercial Street police against two lawyers accusing them of misbehaving with her and groping her and also showing her indecent videos on several occasions. A senior police officer said that the deceased has been identified as Pushpa Archana Lall, who hailed from the Andaman and Nicobar islands and had come to the city five years ago. She had completed her law course in a private college. Her father and brother had come to the city on Thursday to meet the senior police officers after they came to know that she had filed a case. Archana’s father Tulasi Lall is also an advocate. They had booked a room in a lodge at Domlur and on Friday evening she had come to the lodge to speak to them. She returned to her PG late at night. On Saturday morning, she was not responding to her father’s phone calls. He was trying to call her as they wanted to meet a senior police officer about the case. A senior police officer said that the incident came to light on Saturday morning when Leelavathi, who runs the PG, found the body and alerted the police. When the Vyalikaval police came to know about the death of Archana they checked her phone call records and then informed Tulasi Lall about her death. She had left a suicide note. However, the exact reason, which led her to take her own life, is yet to be ascertained. The Vyalikaval police have taken her parents’ statements for further investigations. They have registered a case of death under Section 174 of the CrPC which deals with suspicious deaths. In her complaint to Commercial Street police, Archana has said that she was an intern at Jayanth Pattanshetti and associates, a law firm on Infantry road and she was placed under the mentorship of Chandra Nayak T. “During my internship, I met Chetan Desai at the High Court. On different occasions, they took me to pubs in Indiranagar and made me drink. They gathered my personal details and misbehaved with me and groped me and showed me indecent videos. They threatened my life over phone calls and WhatsApp messages,” she said in the FIR asking the police to take action. The law firm was not available for comment on Saturday.